Is Kefir the New Yogurt? There are dozens of trendy health foods on the market today. One that is becoming more popular is kefir. But do you really know what this is and what its benefits are? Kefir (pronounced “keh-FEAR”), is a fermented drink originating from the mountains of Eastern Europe and comes from the word “keif” meaning good feeling. This thin, sour tasting milk is made by adding kefir “grains” to cow’s or goat’s milk. Kefir grains are made of yeast and lactic acid bacteria that multiply and ferment the sugars in milk, turning it into a rich source of vitamins, minerals and amino acids. It contain about 30 strains of living bacteria and yeast, making it a one of the best sources of probiotics out there. As we learn more about the amount of bacteria in the body, we are beginning to understand just how important probiotic foods are in maintaining good health. The probiotics in kefir have 3 times the amount of yogurt. They are antibacterial, protect against infections and build a strong immune system. Probiotics in kefir can balance the gut and help with digestive issues like IBS, diarrhea and ulcers. Kefir is a great source of calcium and vitamin K2, can build bone and lower the risk of osteoporosis. Kefir contains B12 that can help with stress. 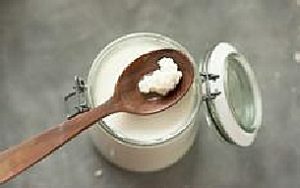 Kefir can protect the body against cancer by reducing carcinogens. Allergies and asthma can improve with a decrease in inflammatory responses. Lactose intolerant? The fermentation process of kefir makes it almost lactose free, can reduce symptoms of lactose intolerance (including gas, abdominal pain and diarrhea) and improve lactose digestion. Still worried about the lactose? Drink water or coconut water kefir instead. It is made the same way as milk kefir and has the same health benefits. What should I buy? Look for a high-quality brand, preferably organic. Go for plain kefir and add honey, maple syrup, vanilla extract, cocoa, cinnamon or pureed fruit to boost nutrients and add flavour. It is often used in smoothies, but can also be a base for soups, stews, mashed potatoes, and other baked goods that call for dairy. This drink may not be for everyone. Side effects are not common but can include gas, upset stomach and diarrhea. People with compromised immune systems, chemotherapy treatment, or experience bowel problems should consult their doctor before adding kefir to their diet. Kefir is getting a great reputation for helping with good bacteria in the gut, boosting the immune system and improving overall heath. If you are looking to add a new super foods into your diet, this is one to add to the list! Try this recipe for Kefir Ranch Dressing on your salad or as a vegetable dip! Combine all ingredients in a jar and shake until emulsified. Dressing can be stored in the fridge for up to a week.